I recreated it in my humble kitchen and to my delight, got excellent results . I make it when I have some boneless chicken at home. 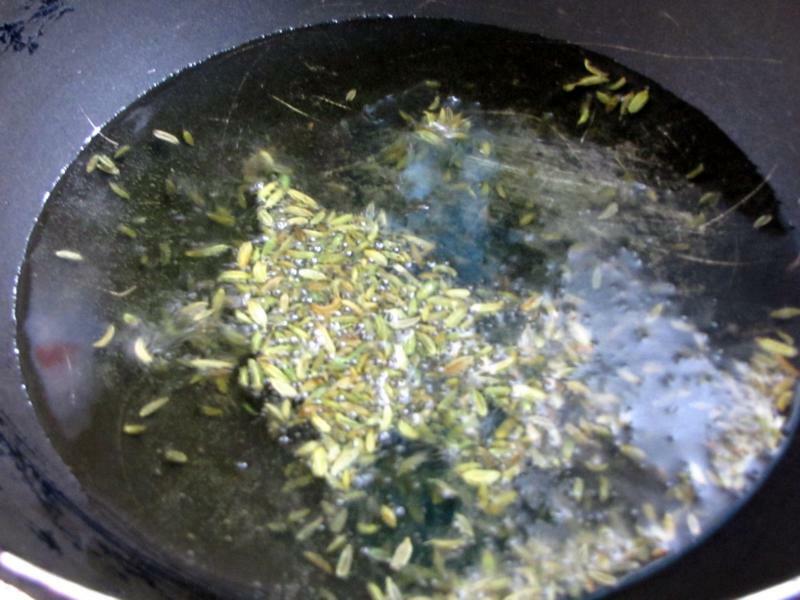 What gives it a different taste is fennel seeds….The aroma of fennel makes it more delicious. Can there be Chicken Chili without a variety of chili??? NOPE! Red chili, green chili, chili sauce and red chili powder… we have it all here… Add onions and whole red chili to the fennel seeds. 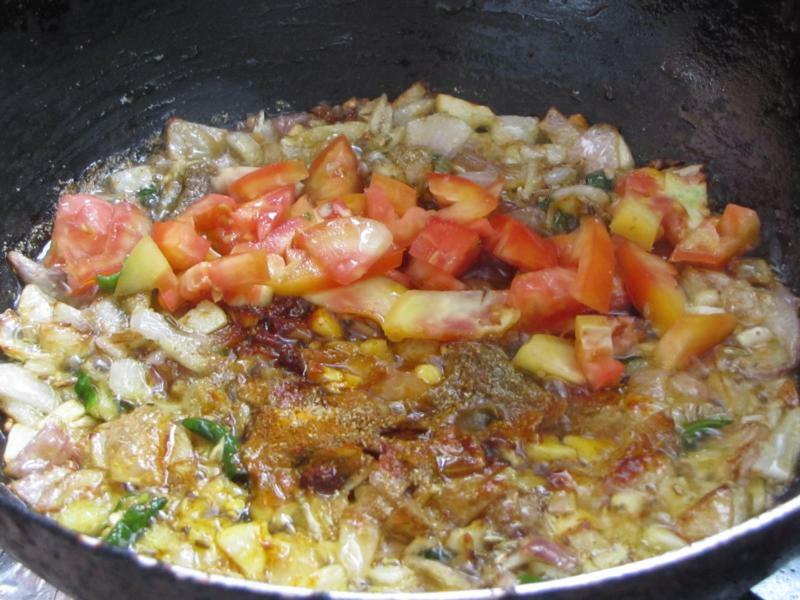 Add ginger, garlic, green chili and curry leaves. A bit of coriander powder and chili powder and tomatoes. Lastly add the tomato chili sauce and sauté. 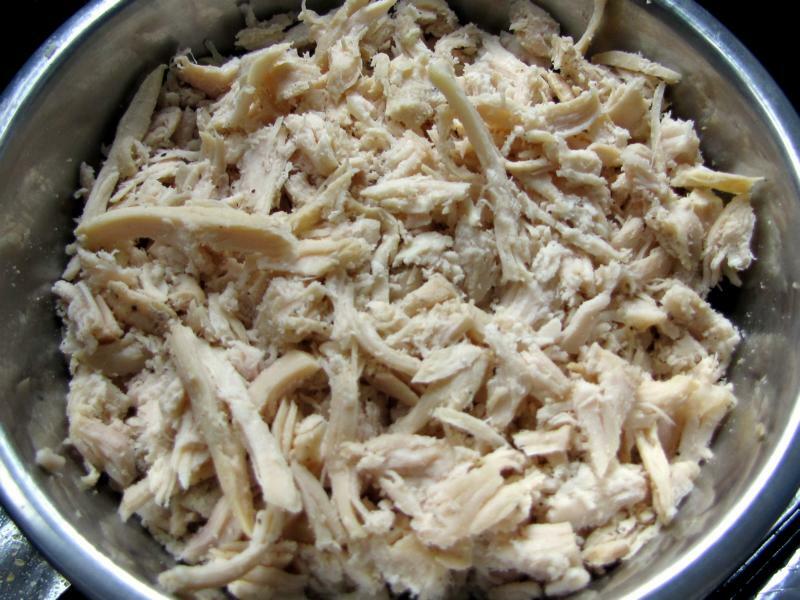 Lastly add the chicken that you have previously cooked and shredded. Stir Fry for 5 – 10 minutes. 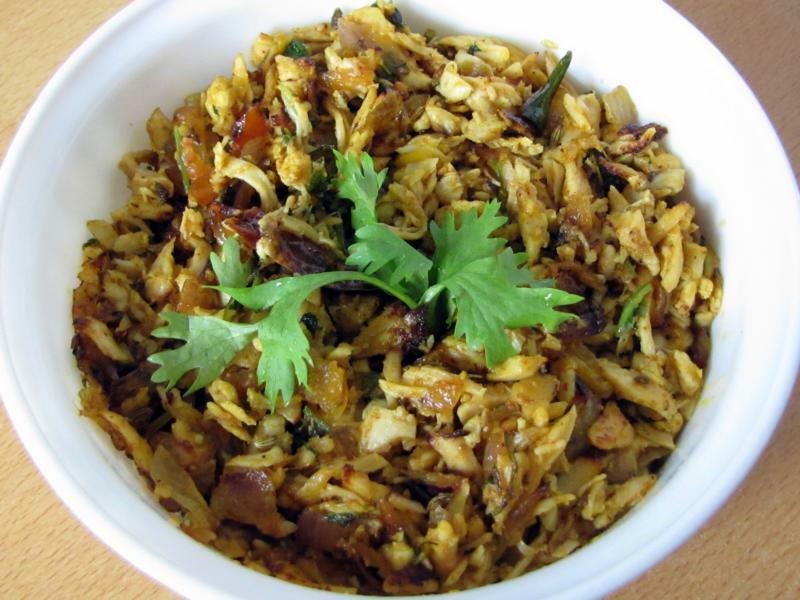 This is a great spicy dish to accompany hot chapattis. Leftovers can also be used as filling in toasted sandwiches or wraps the next day… if there is any left! Heat the oil in a pan, add the fennel seeds. Add the whole red chilies and then the onions. Sauté for around 3 minutes, till the onions begin to turn brown. 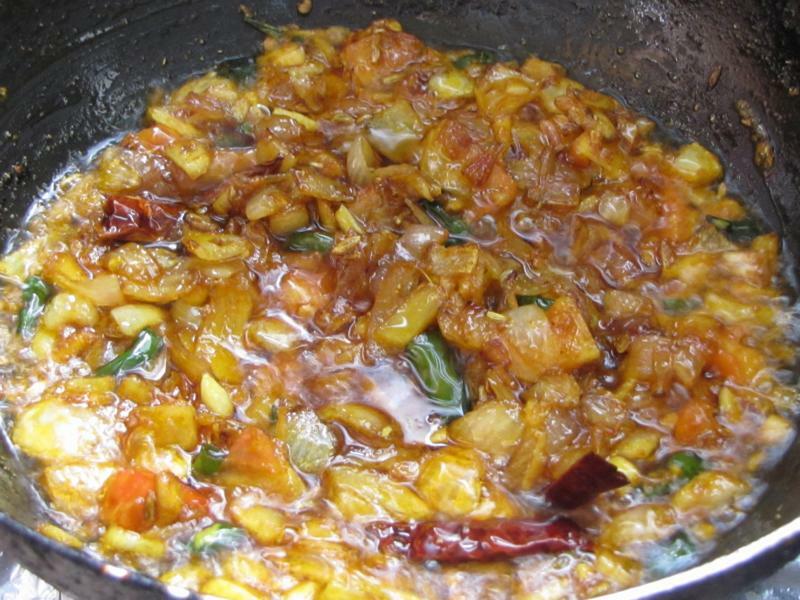 Add the ginger, garlic, green chilies and curry leaves. Sauté for two minutes. Now add the coriander and red chili powders and chopped tomato. Sauté for another 2 minutes. Next add the tomato sauce and fry for another 2 minutes. Follow this by the shredded chicken. Add the coriander leaves. Add salt to taste and stir fry on low flame for around 5-10 minutes. 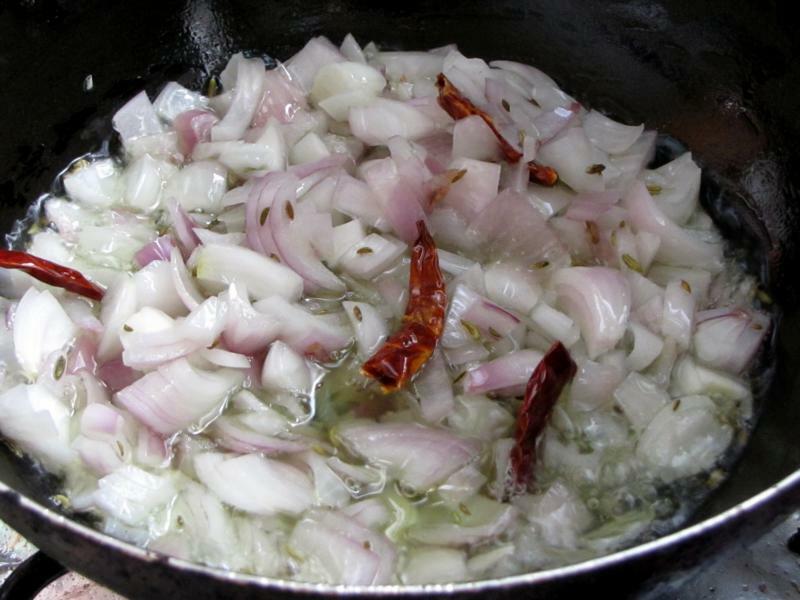 Serve hot with chapattis or parathas. I have tried this with left over of a roast whole chicken, especially the chicken breasts.. 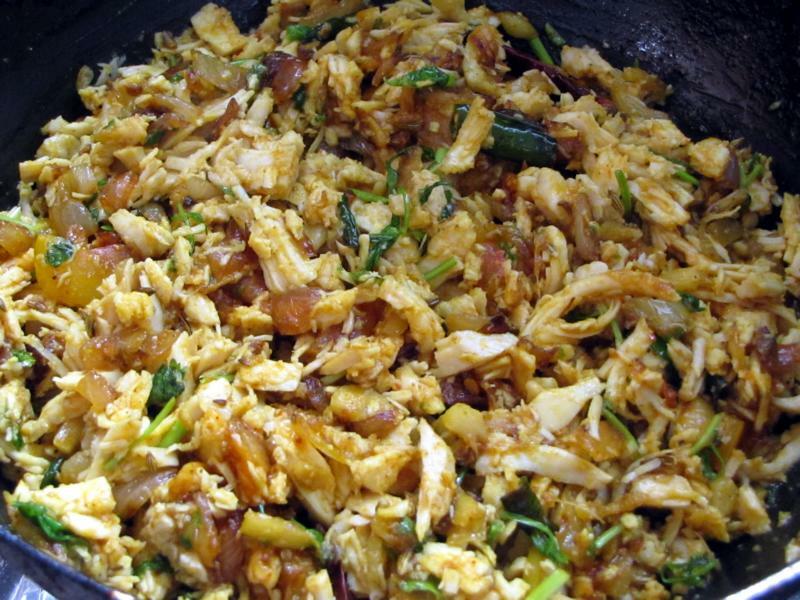 I added some carrots finely chopped and after adding the chicken added some red cabbage to it… Excellent colour and vegetables eaten by kids without any hastle….Mums always have a way to get it done!!!! Tried this today as I had leftover steamed chicken from dinner last night. Loved it! I didn’t have any tomato chili sauce, so substituted with some tomato paste and red chili sauce. Turned out rather spicy but i guess that’s how it is supposed to be!